• What if the application has functionality that wasn’t in the requirements? * It may take serious effort to determine if an application has significant unexpected or hidden functionality, and it would indicate deeper problems in the software development process. If the functionality isn’t necessary to the purpose of the application, it should be removed, as it may have unknown impacts or dependencies that were not taken into account by the designer or the customer. If not removed, design information will be needed to determine added testing needs or regression testing needs. Management should be made aware of any significant added risks as a result of the unexpected functionality. If the functionality only effects areas such as minor improvements in the user interface, for example, it may not be a significant risk. How can QA processes be implemented without stifling productivity? * What are the expected loads on the server (e.g., number of hits per unit time? ), and what kind of performance is required under such loads (such as web server response time, database query response times). What kinds of tools will be needed for performance testing (such as web load testing tools, other tools already in house that can be adapted, web robot downloading tools, etc.)? * Who is the target audience? What kind of browsers will they be using? What kind of connection speeds will they by using? Are they intra- organization (thus with likely high connection speeds and similar browsers) or Internet-wide (thus with a wide variety of connection speeds and browser types)? * What kind of performance is expected on the client side (e.g., how fast should pages appear, how fast should animations, applets, etc. load and run)? * Will down time for server and content maintenance/upgrades be allowed? how much? * How reliable are the site’s Internet connections required to be? And how does that affect backup system or redundant connection requirements and testing? * What processes will be required to manage updates to the web site’s content, and what are the requirements for maintaining, tracking, and controlling page content, graphics, links, etc.? * Which HTML specification will be adhered to? How strictly? What variations will be allowed for targeted browsers? * Will there be any standards or requirements for page appearance and/or graphics throughout a site or parts of a site? * How will internal and external links be validated and updated? how often? 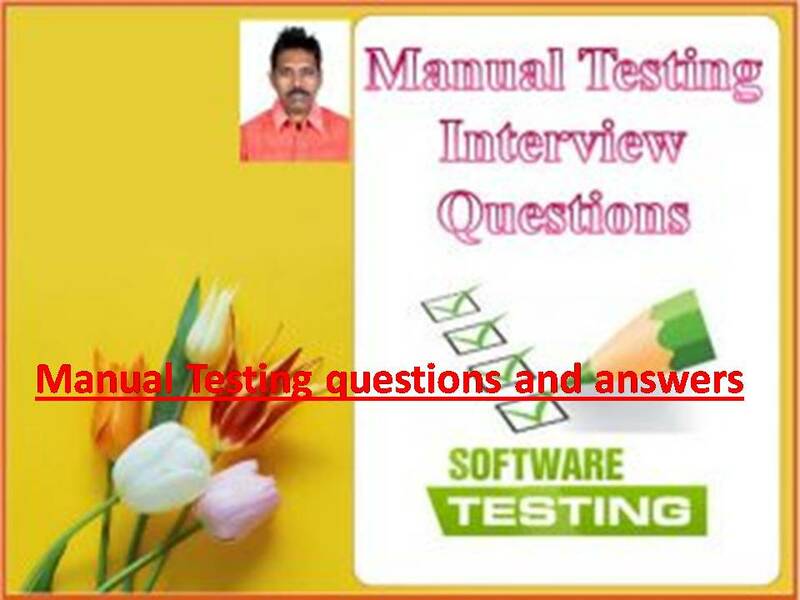 * Can testing be done on the production system, or will a separate test system be required? How are browser caching, variations in browser option settings, dial-up connection variabilities, and real-world internet ‘traffic congestion’ problems to be accounted for in testing? * How extensive or customized are the server logging and reporting requirements; are they considered an integral part of the system and do they require testing? * Pages should be 3-5 screens max unless content is tightly focused on a single topic. If larger, provide internal links within the page. * The page layouts and design elements should be consistent throughout a site, so that it’s clear to the user that they’re still within a site. * Pages should be as browser-independent as possible, or pages should be provided or generated based on the browser-type. * All pages should have links external to the page; there should be no dead-end pages. * The page owner, revision date, and a link to a contact person or organization should be included on each page. What is Extreme Programming and what’s it got to do with testing? * Extreme Programming (XP) is a software development approach for small teams on risk-prone projects with unstable requirements. It was created by Kent Beck who described the approach in his book ‘Extreme Programming Explained’ (See the Softwareqatest.com Books page.). Testing (‘extreme testing’) is a core aspect of Extreme Programming. Programmers are expected to write unit and functional test code first – before the application is developed. Test code is under source control along with the rest of the code. Customers are expected to be an integral part of the project team and to help develope scenarios for acceptance/black box testing. Acceptance tests are preferably automated, and are modified and rerun for each of the frequent development iterations. QA and test personnel are also required to be an integral part of the project team. Detailed requirements documentation is not used, and frequent re-scheduling, re-estimating, and re-prioritizing is expected.